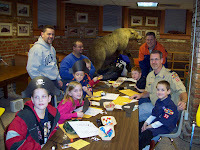 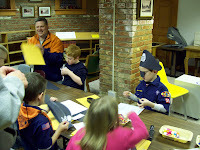 Pirates invaded the library when we welcomed the Tiger Scouts (Den 2) of Cub Scout Pack 35. 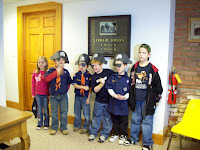 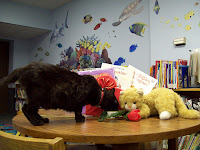 The scurvy dogs toured the library, went on a treasure hunt, and made their own pirate hats. 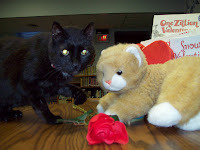 The kiss is the King of Hearts and brooks no refusal.